There is no legitimate carb limit for keto. The keto gods won’t banish you to burn in sugar hell forever if you eat an extra blueberry. The truth is that every person has a different carb limit that they should stick to so that they can trigger ketone production. This “carb limit” also changes depending on the day. Whether your body achieves ketosis or not — the main reason why you are limiting carbs in the first place — depends on many factors. Some people may be able to get into ketosis with a slightly higher carb intake while others need to restrict their carbs below 35 grams per day. So, what does this mean for you? How can you find your very own keto carb limit? If net carbs are further limited to less than 20 grams, then most people will get into ketosis even more quickly. Keeping your carbs consumption at this level and rarely going above it is a reliable way to stay in ketosis (as long as you eat the right amount of protein — more on that later). To figure out how to track your carbs and stay below the carb limit, here’s a guide you can use to keep it as simple as possible. By sticking to these foods, eating keto-friendly meals (like these), and limiting your carbohydrates to 35 grams or less, you will most likely get into ketosis. The reason why I say “most likely” rather than “definitely” is because carbs aren’t the only thing that can keep you from ketosis. 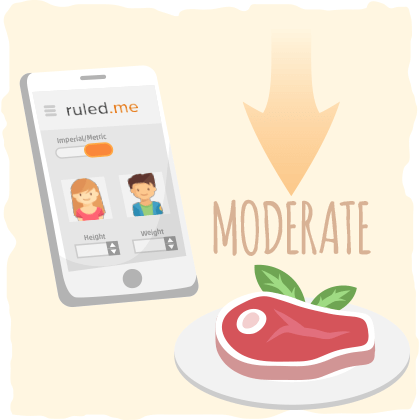 At ruled.me, we recommend that everyone starts their ketogenic diet with the carb limit of 35 grams of total carbs. However, if you are not getting into ketosis or you want to find your personal keto carb limit, then you must know the other factors that contribute to ketosis. Although this is a nuanced topic that is impacted by many different variables, let’s stick to the four things that you have the most control over when it comes to achieving ketosis. Below, we’ll go over these. Everybody can adapt to burning ketones for fuel. In the process of keto adaptation, the mitochondria (the energy powerhouse of the cell) becomes more efficient and starts replicating itself. This provides most cells with the ability to use ketones as their primary energy source instead of sugar. These adaptations allow the body to shift into ketosis more quickly than when you first started the ketogenic diet. Also — as an added bonus — the more keto adapted you are, the more carbs you will be able to eat while remaining in ketosis. The best way to take advantage of keto adaptation is by staying on a strict ketogenic diet for at least 3 to 6 months before trying anything fancy with your carb intake. By this I mean, you must restrict your carbohydrates to 35 grams or less per day, get into a consistent ketosis, and give your cells at least a couple months to adapt to this way of living. This way of eating is the only way to get all of the benefits of ketosis, ketones, and keto adaptation. There are also a couple of other factors that can improve or impair your body’s ability to adapt to the ketogenic diet that you should be aware of. These factors include exercising, eating the right amount of protein, and mitigating stress. The right type of exercise at the right time can help you achieve ketosis more quickly and boost your body’s ketone levels. For example, if your goal is to achieve ketosis as rapidly and healthily as possible, then it is best to use high-intensity training as a tool to deplete glycogen (your body’s storage form of sugar) and low-intensity exercise as a tool to encourage fat and ketone burning. What exactly does this look like? This can be heavy weight-lifting, cross-fit training, high-intensity interval training, etc. After the workout, focus on recovery, rehydration, and mineral supplementation. For even better results, do not eat anything until dinner time. This can be a brisk walk, cycling, dancing, etc. For even better results, do this first thing in the morning before eating. By increasing your activity levels and doing the right types of exercise at the right times, you can achieve ketosis more quickly, burn more fat, and improve your health in a variety of ways. As a side bonus, you can increase your daily keto carb limit without lowering your ketone levels as well. However, if you do so much high-intensity exercise that it overwhelms your body with stress, then you may impair your ability to stay in ketosis. This is because stress can shut down ketone production. Stress increases the levels of stress hormones like cortisol in the blood. It doesn’t matter where the stress comes from (your thoughts, what you did, what someone else did, etc. ), it all causes the same hormonal response. One of the hormones that is released in response to stress is cortisol. Cortisol increases the activity of gluconeogenesis to raise blood sugar levels, while simultaneously decreasing insulin sensitivity. This combination of actions causes more blood sugar to hang out in the blood for longer periods of time, which shuts down the body’s need to produce ketones. Cortisol, however, is not the enemy. It provides us with the boost of energy we need to start the day and power through exercise and stressful situations. Problems will only arise when the body rarely stops secreting cortisol because the mind is always stressing about something. As these and other stressors accumulate in your life, your stress hormones remain elevated throughout the day. This limits your ability to produce ketones, lose fat, and maintain muscle mass — three things that you want to avoid at all costs on the ketogenic diet. No keto carb limit can save you from these adverse effects. You must take responsibility for mitigating your own stress. Eat the right amount of calories to meet your goals. Use our keto calculator to find out how much you should be eating. Replace one of your high-intensity workouts with low-intensity exercise. Improve sleep quality by getting sun exposure during the day, limiting blue light exposure at night, and following the same sleep schedule every day. There are plenty of other strategies and supplements that help reduce stress, but these will give you the most reliable results (and they don’t cost a thing). However, just because you have stress under control doesn’t mean that ketosis is now guaranteed. Your protein intake may be getting in the way. When protein intake is too high, the body is flooded with amino acids. In response to this amino acid influx, insulin is released. Insulin lets the cells know that plenty of energy is available (from the amino acids), so they don’t have to worry about burning fat from fat cells and producing ketones. Because of this, each high-protein meal can prevent us from getting into ketosis or keep us from reaching a deeper level of ketosis. This is why carb restriction shouldn’t be your only focus on the ketogenic diet. To achieve ketosis efficiently, eat the right amount of protein and limit your carbohydrate consumption. Don’t just do one or the other. In general, you should aim to get around 25% of your calories from protein. If you’re active or restricting calories for fat loss, then it is best to increase your protein intake. To find out the exact amount of protein you should eat, use our keto calculator. The Takeaway — Is There One Keto Carb Limit? In general, restricting your carb consumption to less than 35 grams of total carbs and 25 grams of net carbs is what we recommend for the best results. This carb limit is ideal for almost everyone on the ketogenic diet. Each one of these factors can either increase or decrease your carb limit, thus impairing or improving your ability to get into ketosis. This is why finding your own personal carb limit for keto is much more nuanced and complex than you think. However, with some experimentation, you can find out how many carbs you need to eat to stay in ketosis. After establishing ketosis by eating less than 35 grams a day and verifying it with your ketone meter, you can try slowly increasing your carb consumption by 5 grams each day. This doesn’t mean that you can eat sweets and candies. Simple carbs like these can kick you out of ketosis because they tend to increase insulin levels more rapidly than anything else. Instead, increase your carbs by eating complex carbohydrates from plant-based foods like vegetables or low glycemic fruits. The only way to accurately find out if you are in light, medium, or deep ketosis is by using a blood ketone meter like the Precision Xtra. To give you a frame of reference, most people will be in a light ketosis within two or three days after starting the ketogenic diet. It typically takes two to three weeks to get into a deep ketosis. However, if you implement some of the suggestions in this article (stress reduction, appropriate exercise, etc. ), you may be able to get into a medium or deep ketosis in less than a week. Keep in mind, however, that if you are getting great results by using the carb limit of 35 grams per day, then there is no need to go through all of this testing to raise your carb consumption. Increasing your carb limit may do nothing more for you than further complicate things. It also essential to realize that your carb limit for ketosis will vary depending on the factors we talked about earlier. Didn’t sleep enough? You may not be able to eat as many carbs as you did yesterday and stay in ketosis. Exercising today? You may be able to get away with eating 5 to 10 more grams of carbs on that day. Finding your carb limit for ketosis takes patience and persistence. You must track what is going on inside of your body and in your life to find out what works best for you. If you regularly train at high intensities, however, you may require specific guidance that reaches beyond increasing your daily carb limit. You may benefit from another type of ketogenic diet altogether. If you are a keto athlete or do some form of high-intensity exercise and your performance is tanking, then increasing your daily carb limit little by little won’t help. You need to use carbohydrates as a tool. For example, exercise beginners who are suffering through their high-intensity training sessions should increase their carbs during a “targeted” time. This is why high-intensity exercise beginners should follow the targeted ketogenic diet. The targeted ketogenic diet is implemented by taking 25-50g of easily digestible carbohydrates like natural maple syrups 30 minutes before exercise. This strategy, however, won’t work for intermediate, advanced, or elite keto athletes and high-intensity trainers. They may require the cyclical ketogenic diet to improve performance. The cyclical ketogenic diet is comprised of 1-2 carbohydrate refeeding days followed by 5-6 strict ketogenic diet days. This type of ketogenic diet combines carbohydrates with ketosis to improve strength, performance, and body composition. To implement the cyclical ketogenic diet correctly, you must deplete your glycogen stores with high-intensity exercise training and get into ketosis before the carbohydrate re-feeding days. For more in-depth information on the difference between the cyclical, targeted, and standard ketogenic diets, check out our guide on the three ketogenic diets. 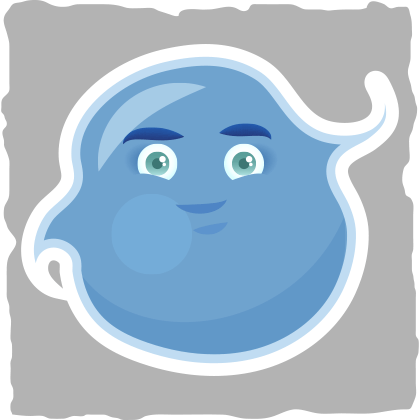 This article wouldn’t be complete, however, if I neglected to mention another, simpler performance boosting tool. Whether you are on the targeted ketogenic diet, the cyclical ketogenic diet, or the standard ketogenic diet, ketone boosting supplements can take the benefits of the ketogenic diet to the next level. There are two main supplements on the market right now that have been scientifically proven to boost ketone levels. They are ketone salts and MCT oil (my personal favorite). Ketone salts are a powder that consists of a combination ketone bodies with a mineral. 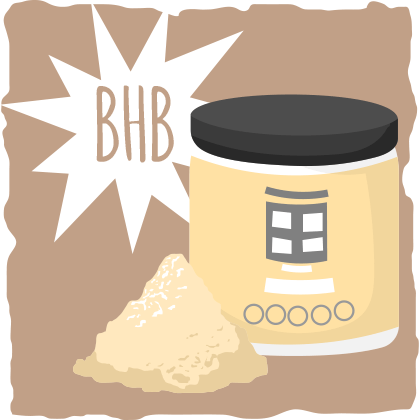 You’ll commonly see sodium, potassium, magnesium, or calcium bound together with beta-hydroxybutyrate (BHB) or acetoacetate in these ketone salt supplements. Taking ketone salts results in a substantial increase in ketone levels without having to wait for 3 to 10 days (like during the standard ketogenic diet). However, one study found that they may impair your ability to stay in a deep ketosis for the long term. Taking ketone salts shouldn’t be looked at as a replacement for carbohydrate restriction either. Studies on rats suggest that ketone salt supplementation doesn’t provide all of the same benefits that you will get from following the ketogenic diet. For those who want to experiment with ketone salts, it is best to pick one that fits your mineral needs. Most people are deficient in magnesium, so a magnesium-containing ketone salt may be best for you. Although they aren’t ketones themselves, medium chain triglycerides (MCTs) can be broken down into ketone bodies in the liver whether you are in ketosis or not. MCTs are a saturated fat that is unlike any other saturated fat. They skip the typically slow and arduous process of fat digestion and go straight to the liver where they can be converted into ketone bodies right away. This happens regardless if you are on a high-carbohydrate diet or a ketogenic diet — amazing! These ketone boosting fats are naturally found in coconuts, coconut milk, and coconut oil, but the most efficient way to consume MCTs is by taking an MCT oil supplement. 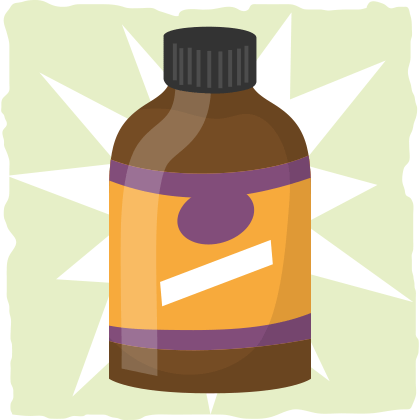 The best MCT oil to take is one that exclusively contains a medium chain triglyceride that is called caprylic acid (the C-8 medium chain triglyceride). Caprylic acid is known to digest more quickly and easily into ketones than the other types of medium chain triglycerides. However, if you can’t afford the higher price tag of caprylic acid, then any other MCT oil or MCT powder will do. Put a tablespoon or two of KetoMCT oil or Now Sports MCT oil in your protein shakes, salad dressings, or sauces for a consistent ketone boost with no side effects. Keep in mind that MCTs, ketone salts, and other ketone boosting supplements cannot provide you with all of the benefits you will get from the ketogenic diet It is best to get into ketosis by limiting carbs before using these supplements for the best results. Technically, there is no carb limit for the ketogenic diet. 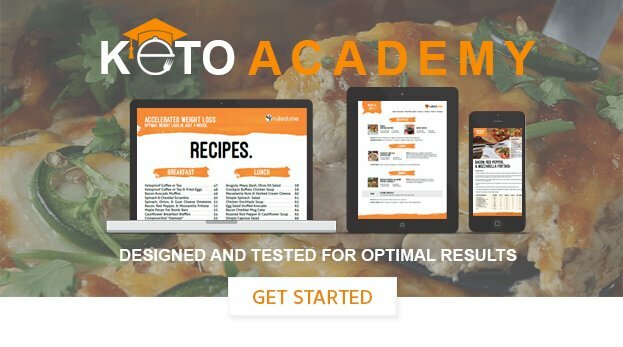 Each keto website has slightly different suggestions, but in general, most people will get the best results from staying below 35 grams of total carbs per day. By restricting your carbs even lower — especially your net carbs — you can get into a deeper ketosis more quickly. Not everyone, however, will get the same results with the same carb limit because our ketone levels depend on our activity levels, protein intake, stress, and keto adaptations. Because of this, some people may thrive on the ketogenic diet with a higher carb intake while others should consume below 35g of carbs per day. To find your personal keto carb limit, you can experiment with eating extra carbs and checking your ketone levels. Slowly add 5 grams of complex carbs from vegetables or low carb fruits per day until you notice a drop in ketones. From there, decrease your carbs until your ketones are back up, and that is your new carb limit. However, you must keep in mind that your stress levels, activity levels, protein intake, and keto adaptation will change your carb limit, so it may be easier for you to stick to a carb limit that keeps you in ketosis no matter what. Eating Less than 35 grams of carbs per day is one of the most effective ways to accomplish this. If you are a high-intensity athlete or exercise beginner, you may benefit from a different kind of carb limit. For athletes and others who exercise regularly, the cyclical ketogenic diet may be the best option for boosting performance. On the other hand, exercise beginners may do best on the targeted ketogenic diet. Either way, keto athlete or not, you can also benefit from ketone boosting MCTs or ketone salts. All you need is a small dose of one or the other, and you’ll be in ketosis. However, these supplements don’t even come close to giving you all the benefits that you get from following the ketogenic diet. To get started, limit your total carbs to less than 35 grams per day and use our beginner’s guide.